Feb 17 Comments Off on Saturday Office Hours! We love being able to serve our patients as frequently as we can. 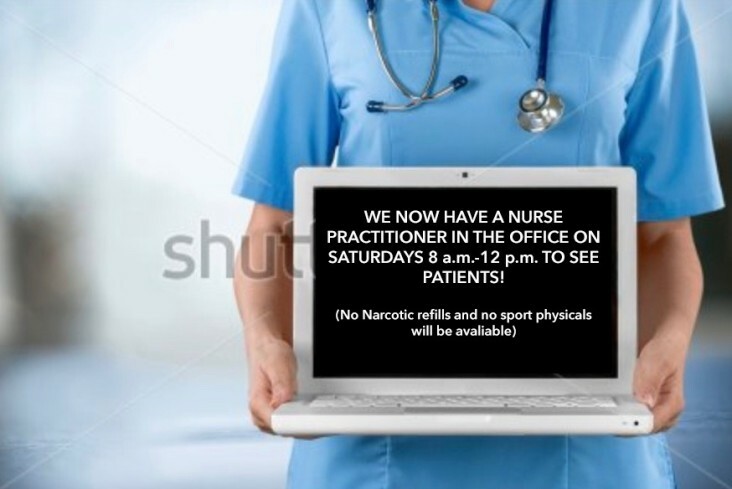 If you are in need of care on a Saturday, you can come see our Nurse Practitioner that will be here from 8:00 a.m.- 12:00 p.m. every Saturday. Please Note- No narcotic refills and no sport physicals will be available.